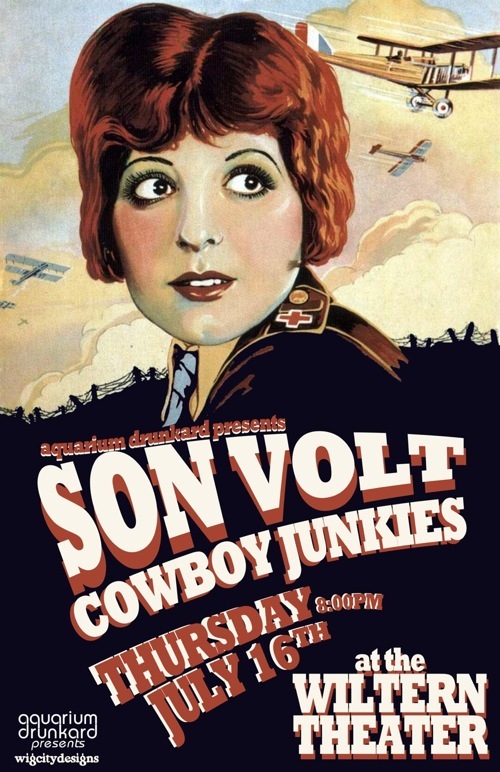 Next Thursday, July 16th, Aquarium Drunkard presents Son Volt and Cowboy Junkies live at The Wiltern in L.A. Son Volt are touring behind American Central Dust their new LP released last week on Rounder Records. We are giving away a bunch of pairs of tickets to AD readers. To land a pair, hit up the comments below with your name, a valid email address we can reach you at, and your favorite Farrar-related LP. See you there. I can’t attend the show, but Jay’s best disc thus far is “Sebastopol”. Trace is great but my personal favorite is Okemah and the Melody of Riot. I’m more of a Junkies fan, I remember the first time I heard Trinity sessions ( The original – not the remake) I was working at a now defunct chain of record stores ( believe in us …) and was just floored. Anyway, please put me in the hat for tix. Trace was it for me as well. For me, it’d have to be the first Uncle Tupelo album, “No Depression.” I was working at a record store when we got in Michelle Shocked’s “Arkansas Traveller” cd. Fantastic. She does a tune with Uncle Tupelo which is just great. Then I read some article about UT. So I ordered the first two records and was just blown away. I tried to turn on my boss to ’em, but the only tune he really dug was “No Depression” (he was an old Carter Family fanatic and loved what UT did with the song.) So that was the one I got to play to death in the store. This show is one of the shows listed under livenation’s $7.11 ticket specials. Take advantage of it! Would love to see this show. Favorite JR-related LP is “Still Feel Gone” Anything with “Still Be Around” on it is an automatic ticket to heaven. I got into them after seeing them open for the Drive-by Truckers a couple years back, I think my favorite is Okeemah and the Melody of Riot. I love trace, I really do but I do love The Search a bit more. I think it is the horns on the album that really sell me, it gave this very warm, almost 1950’s sound to the whole thing, but with a thick guitar sound.